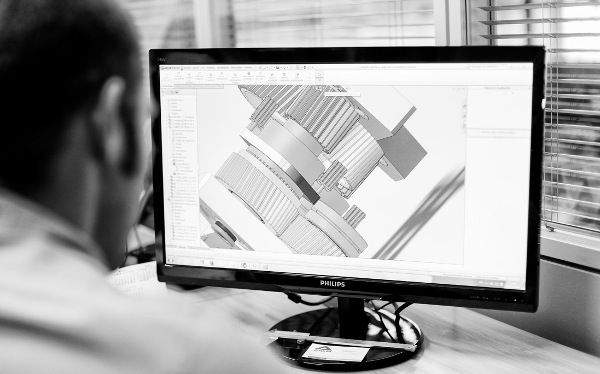 Our engineering department offers customised designs adapted to our clients' needs and requirements. We design for new mechanical drives and for the recalculation and improvement of existing ones. Our calculations are based on DIN, ISO, API and AGMA standards, thus guaranteeing the verification of calculations and the resistance of the machine elements using basic safety and longevity factors. We can modify existing drives and adapt them to clients' emerging needs. We are obliged to make sure that the alignment between horizontal or vertical shafts is correct so as to prevent future damage. Our technical department allows us to create any kind of design adapted to the needs of each client. We study all kids of mechanical drives, adapting them to current operating conditions. To make sure the natural or inherent frequencies and excitation frequencies do not coincide. In critical machines, vibration control should be applied to monitor the process through predictive maintenance.